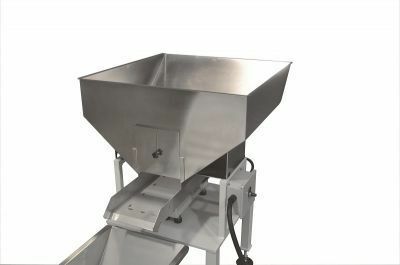 Electronic weighing system for large volumes and special products. 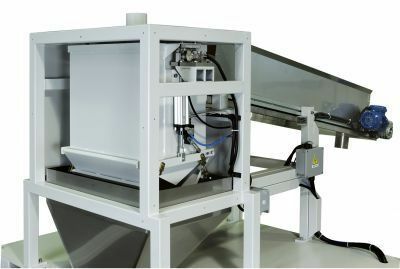 Electronic weighing systems for filling preformed bags or containers in general, with large volumes products or special products that cannot be managed with linear dosers with vibrating channels. 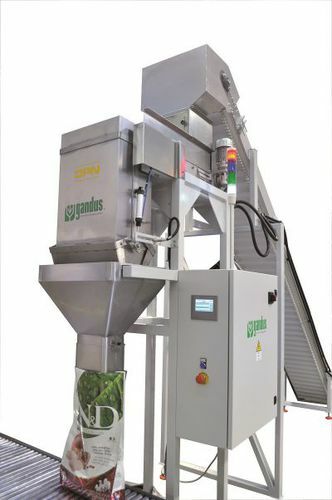 Weight is manged throug Siemens electronic, with synchronization weight control and belt/belts in feed speed. 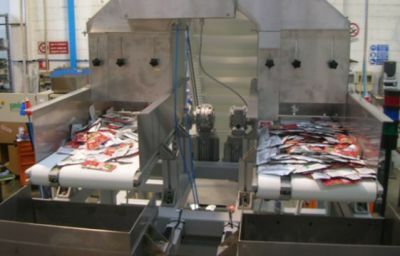 Belts are controlled by inverter and their in feed speed is managed by the software. Automatic and semi automatic versions. 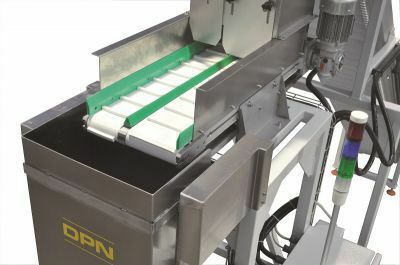 Automatic versions are supplied complete with floor independent support.